Major sporting events captured Canadians’ imaginations early this summer generating very strong audiences for sponsors and advertisers, according to SRG’s new Sports Canada Quarterly report. 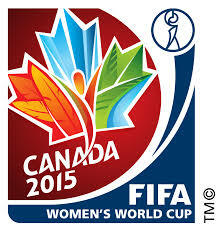 Toronto Pan Am Games and FIFA Women’s World Cup in particular generated record impressions for their top advertisers/sponsors. The Toronto Pan Am Games exceeded all expectations. Some 60% of Canadians watched at least some of the games in the July 10 to 26 period, compared to only 48% said they expected to follow at least some of the games, prior to the start of the games. 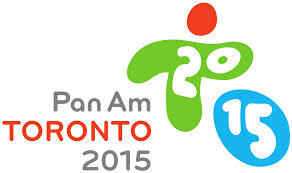 CIBC, Coca-Cola, Nike, Chevrolet and Visa were the top sponsors/advertisers in unaided recall for Pan Am Games. CIBC in particular dominated, with an impressive 32% of those following the games saying they noticed CIBC on an unaided basis. Five of the top 10 advertisers/sponsors mentioned were Canadian brands. FIFA Women’s World Cup reached about half the population with 50% following at least some of it and 31% saying they followed it very or somewhat closely. The big winner in sponsorship recall was Coca-Cola which was mentioned by a record 57% on an unaided basis. Rounding out the top 5 were Visa, Adidas, Gazprom and Hyundai. Only one single Canadian brand and an official sponsor, Bell, made it to the top 10 in unaided recall, suggesting FIFA Women’s World Cup was largely a wasted opportunity for Canadian brands. 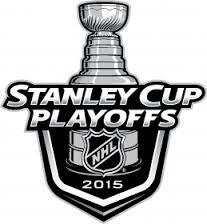 The summer started with NHL and NBA Playoffs overlapping in early June. Six-in-ten (59%) followed at least some of the NHL Playoffs and 21% did “very closely,” the highest of any sporting event included in the research. Scotiabank took the top spot as the leading NHL sponsor/advertiser with 23% unaided recall, edging out Tim Hortons. Molson, Rogers and Visa rounding out the Top 5 advertisers/sponsors. For those following the NBA Playoffs, Nike, Coca-Cola, Kia, Rogers and Visa were the top 5 brands in unaided sponsor/advertiser recall. Over one-in-three (35%) followed at least some of the playoffs, despite an early exit by the Raptors. The NBA playoff audience was smaller than that of NHL not surprisingly but indexed higher on millennials & teens (50% of those following at least some of the NBA playoffs were under 35 compared to 37% for the NHL).